From the very first page you are swept up by Violet’s sadness and Finch’s energy. The way that Jennifer Niven cuts off Finch’s chapters really brings the story to a fever pitch. I felt like I could really relate to the main characters and their depression and I think that's why I thought I loved it so much and why I somehow overlooked some really concerning things. It’s a great illustration of the contradictions that can fill a person with depression. Forming that bond helped me really connect to the story and become invested into the plot. 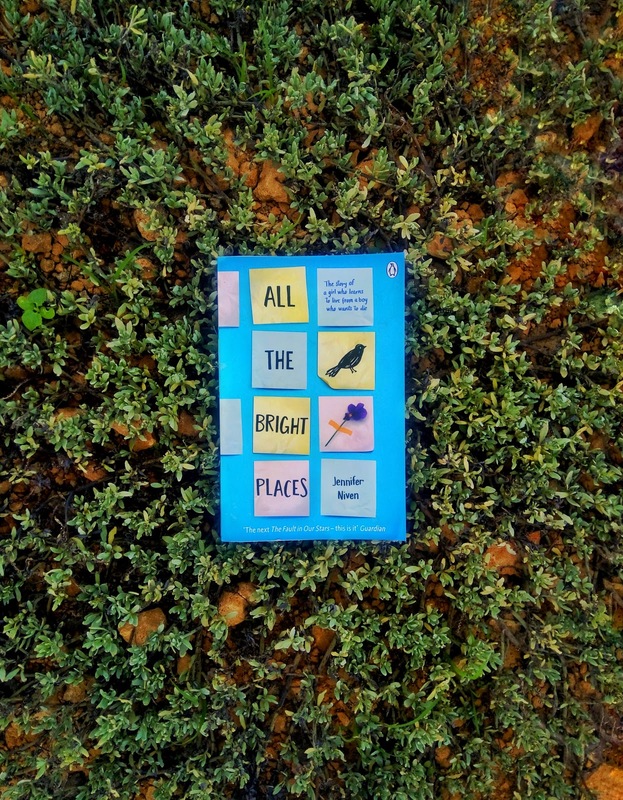 The book follows their personal lives, the complications of their relationship and their budding romance, the adjustments and struggles they had to do to be together and their struggles for their dreams. Suicide is a delicate topic to put in any story. Sometimes it’s used for sensationalism and sometimes it’s meant to illustrate poignant tragedy. I did not expect that this book will be emotionally devastating. Depression is a terrible illness that will regularly make a person believe the worst things about them self. This book is not really depressing, and any sadness is well worth it once you finish. The book had compelling and unique but troubled characters, the game of life, interesting adventures, strong prose, and colors in the dark. All I can say is, this is a must-read for everyone going through a tough time in their lives. If you’ve ever felt alone for any reason, this book will speak to you. I encourage you to talk about this book after you read it. I love the way the last bit was written. It felt extremely realistic to me. I’ve experienced the slow leaving or sudden disappearance of a person sitting right beside you. I know exactly how helpless Violet felt. The book tells a story in a very clean and concise way. The message in this book could potentially change someone’s life, forever. The story is poignant and I learned a lot about mental illness, isolation, friendship and loss.